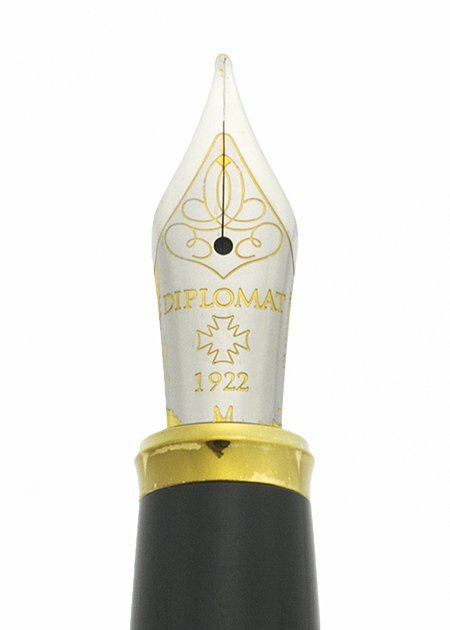 1980s Diplomat fountain pen from the Classic collection. 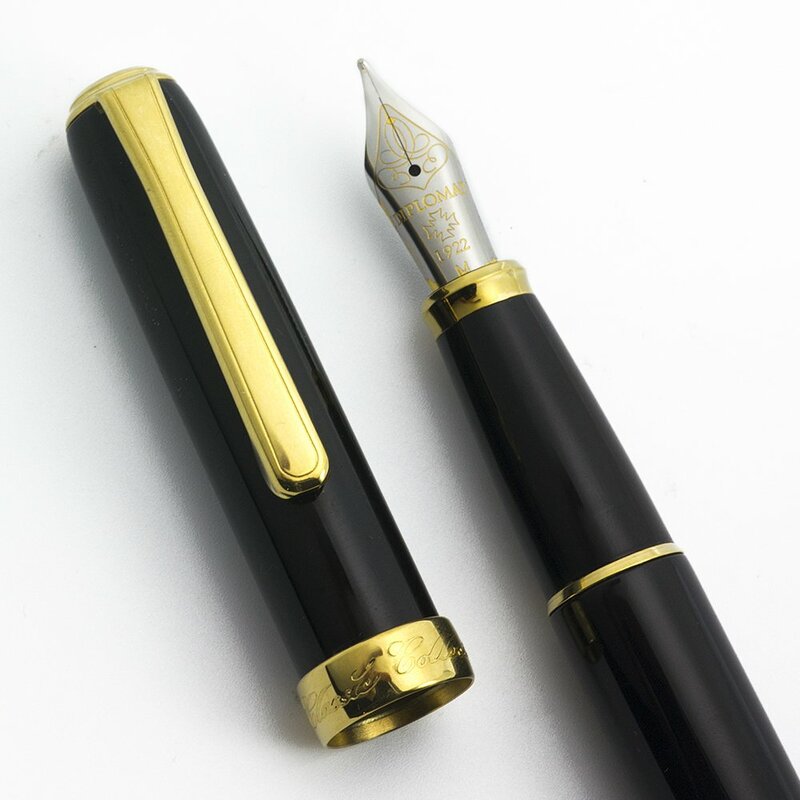 Classic black lacquer with gold plated trim. Medium steel nib. Excellent + condition. Filling System Takes international cartridges and converters. A converter is installed. Color Classic black body with a lacquer finish and gold plated trim. 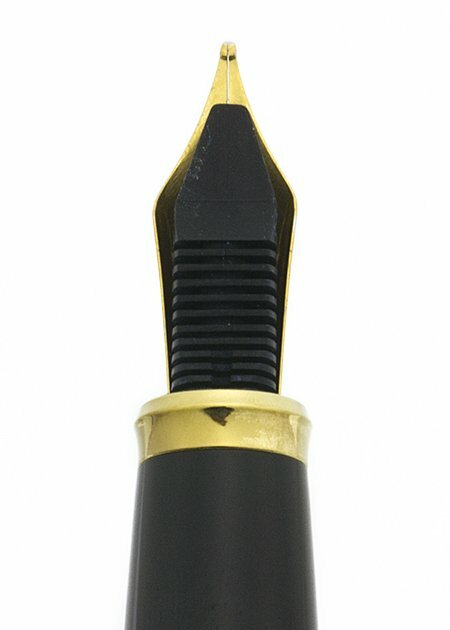 Nib Steel medium nib is smooth and has silver colored masking over the gold plating. The masking is starting to flake off at the base of the nib. Condition Excellent + condition. Low handwear. There is minor plating wear on the nib collar but that's not unusual.